Less invasive approach leads to faster recovery. A few years ago, Tony Herdener, Northeast Georgia Health System’s (NGHS) former chief financial officer, thought he’d pulled a muscle in his leg. But in typical Tony fashion, the self-proclaimed handyman tried to work through it and keep going. He soon learned the pain he was having was a symptom of hip arthritis – a much larger problem that wouldn’t fix itself. Tony decided to visit Dr. Michael Gottsman, a veteran orthopedic surgeon with Longstreet Clinic Orthopedics. 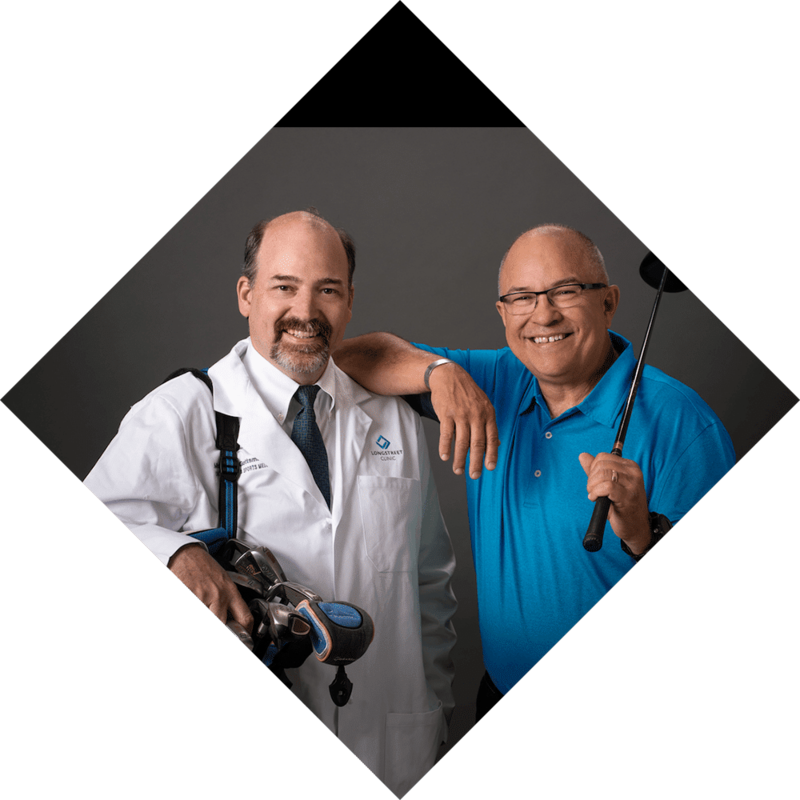 Dr. Gottsman had previously treated him for a knee problem, so Tony knew he could trust him to get him back to his busy lifestyle quickly. Diagnostic tests confirmed Tony had arthritis, so together, Tony and Dr. Gottsman weighed the treatment options. As an experienced healthcare executive, Tony understands the importance of research and planning. In addition to the research and videos, Tony says it was the personal touch – from the pre-surgical education to the communication with Dr. Gottsman and the Joint Care Center staff at Northeast Georgia Medical Center (NGMC) – that made him feel most comfortable. So, in February 2018, Dr. Gottsman performed Tony’s anterior approach hip replacement at NGMC Gainesville’s Joint Care Center – a dedicated unit at NGMC that provides orthopedic patients with personalized care, dedicated staff and proven treatment plans for total hip and knee replacement. Now, just a few months post-surgery, Tony couldn’t be happier with both his surgical experience and the end result. “I was up walking five hours after surgery and didn’t need a lot of pain medication,” Tony says. “My family had to remind me several times to not do too much, too soon, because, quite frankly, I felt pretty good. Dr. Gottsman says the long-term expectation of anterior hip replacement surgery is for patients to return to their usual activities – from walking to some high-impact sports – without the nagging pain they started with. For Tony, that means a little bit of everything: golfing, traveling and just being active in general. Tony agrees, and says NGMC’s Joint Care Center offers people north of Atlanta the expert orthopedic care they need, close to home. “Over the past several years, I’ve heard people talk about traveling outside of Hall County for anterior approach hip replacement surgery, but I am living proof that a drive like that isn’t necessary,” Tony says.